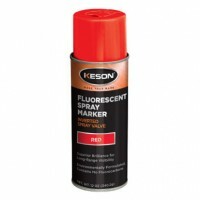 This fluorescent spray paint is formulated to generate superior brilliance for long-range visibility. 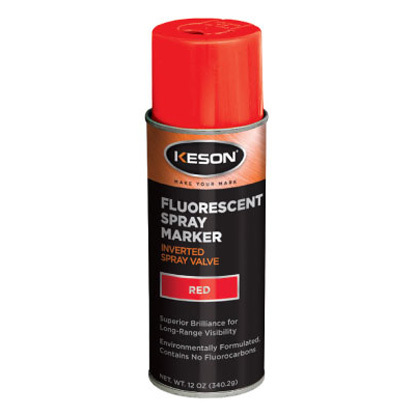 Before marking a dark surface, spray a coat of white to enhance the brightness of the paint. 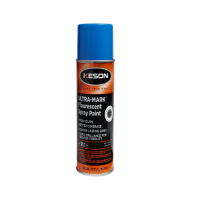 The Ultra-Mark spray paint contains no fluorocarbons, making it non-toxic after drying. 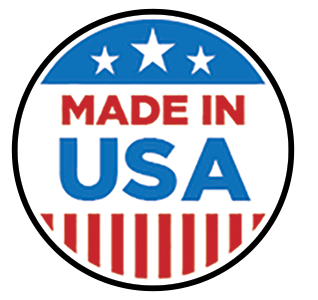 Top discharge valve for ease of use. All Keson paint is water based. A 16-ounce can provides approx. 250 feet of a 4-inch wide line. A 20-ounce can covers approx. 300 feet with the same 4-inch line. How much Paint is in the can? Compare the Net Weights. Federal law requires that the cans clearly label the net weight of paint.